Assistant Professor Pranav Soman and his research team have engineered a new method to create model blood vessels that is more efficient, less expensive and more exact. The models can help in researching diseases such as cholesterol buildup. Creating model blood vessels to aid in the study of diseases, such as strokes, can be complicated, costly and time-consuming. And the results may not always be truly representative of a human vessel. 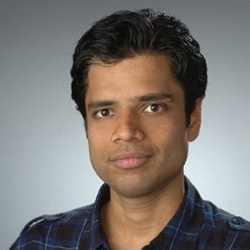 Assistant Professor Pranav Soman and his research team have engineered a new method to create model blood vessels that is more efficient, less expensive and more exact. Soman, of the Department of Biomedical and Chemical Engineering in the College of Engineering and Computer Science, and his team are creating vascular channels using 3D printing-enabled casting. Their research is detailed in the article “An in vitro vascular chip using 3D printing-enabled hydrogel casting” in the journal Biofabrication (August, 2016). The lead author is Liang Yang ’16, with co-authors Shivkumar Vishnempet Shridhar, Melissa Gerwitz ’17 and Soman. To engineer something more complex, a mold must be cast to create the exact shape of the blood vessel needed to study. Much of the work typically has been done in “clean rooms,” ultra-sanitized rooms that are environmentally controlled to prevent contamination. Syracuse University does not have a clean room, so the work has to be done at other universities. “It takes a lot of time and effort to work in a clean room, and it’s also very expensive,” Soman says. 3D printing has now made the difference in manufacturing. “We can use 3D printing to create the mold and use that mold to cast whatever gel and cells in whatever shape we want,” Soman says. Off-the-shelf 3D printers can cost between $1,500-2,500. “Within that range you can basically print anything you want as compared to a clean room that will cost thousands of dollars to get the work done,” Soman says. Soman’s lab in the Syracuse Biomaterials Institute has 3D printers, as does the Department of Mechanical Engineering in Link Hall. In their experiments, which have been supported with funding from the Department of Biomedical and Chemical Engineering, Soman’s team members made an L-shaped channel from a mold created from a 3D printer. A gel mixture, containing gelatin and vascular cells, is poured on top of the mold and ultraviolet (UV) light projected on it. The liquid gel reacts to the UV, and it turns to a solid gel. The channel is then peeled from the mold. Images 1 and 2: Polyactic acid (PLA) molds printed in user-defined bifurcated geometry, and a microfluidic hydrogel device made using the PLA mold showing perfusion of blue ink. Image 3: Cartoon showing a microfluidic device with hollow lumen (channel) lined with vascular endothelial cells surrounded by mesenchymal progenitor cells. Image 4: Immunostaining shows the formation of tight cell junctions (VE-cadherin-purple) and an expected cobblestone configuration ensuring necessary barrier function of the endothelial cell layer. If there is an injury or a blood clot, there is a whole reaction that takes place between these cells. For example, cholesterol starts to linger in arteries and veins, and it can lead to strokes and heart attacks. 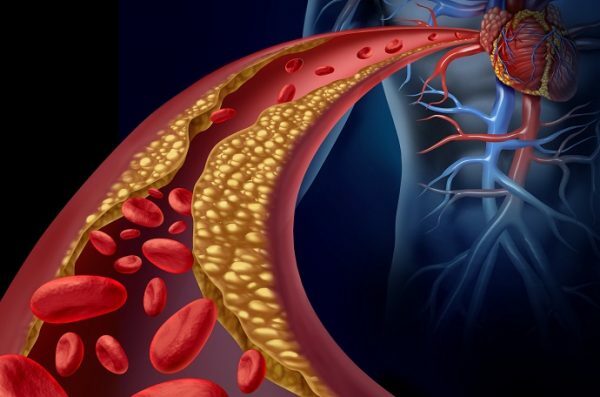 If you can replicate the complex curved and branched shapes of arteries and see where stress can reside in one area over another, you can begin to understand more about the disease. Soman is also looking at the relationship between blood vessels and bone formation—one of the biggest goals in his lab is to understand bone formation.